All material is valuable and even picking up on others wastes stream will be vital for building soil. 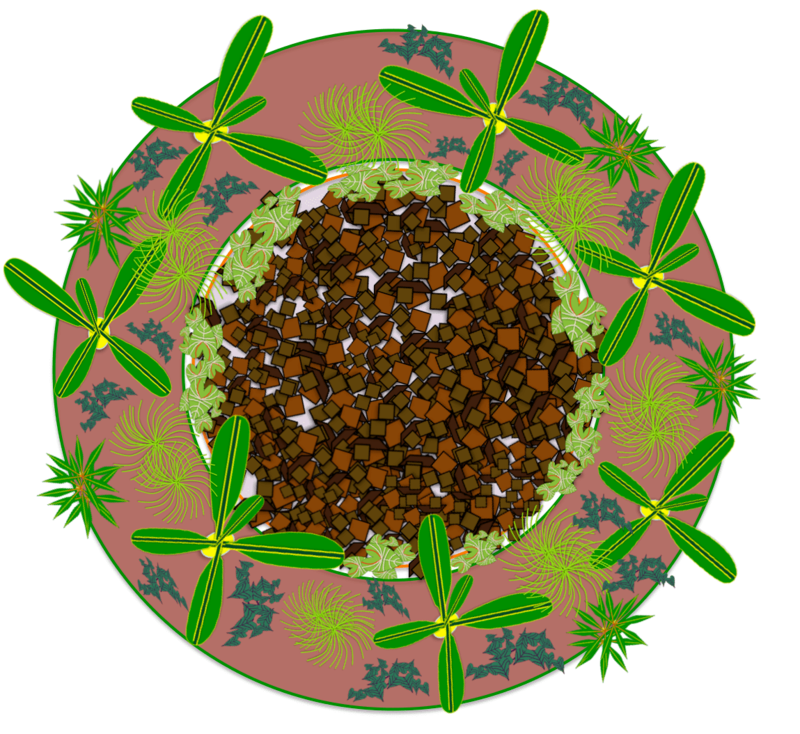 Use circle designs to grow banana and papaya affectively. Use varying plants to be the mulch for surrounding crops or as a green material in compost piles. Use the fecundity of aquaculture systems to cycle energy affectively. Use concrete to create worm bins that are permanent structure and allow for side by side flow through with a metal grate separating the t systems. Use alternating feeding to allow for worm migration when finished compost is desired. House animals off the ground where possible to prevent disease which makes manure more valuable as fertility input. 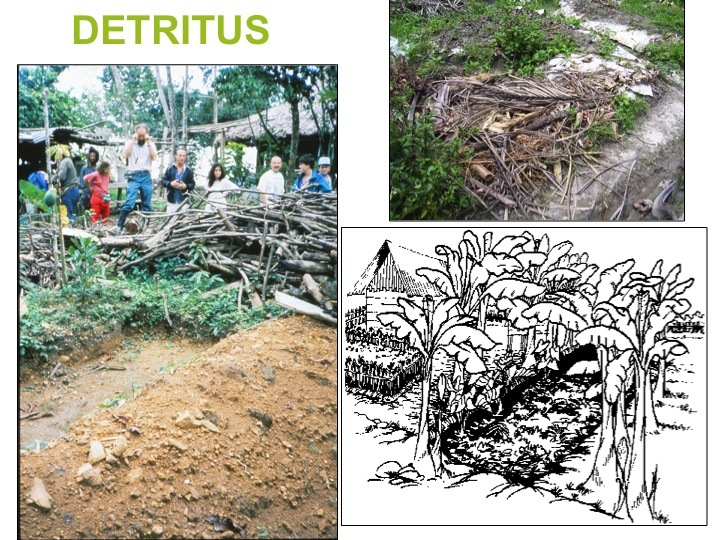 Using Detritus to build soil in the Tropics: To build soil in the tropics all organic material must be valued and cycled. All detritus material, which abounds from the daily sweeping of the household outdoor compound, should be composted in a slow burn way. Normally people want to burn this material but its carbon is lost skyward while our plants suffer. 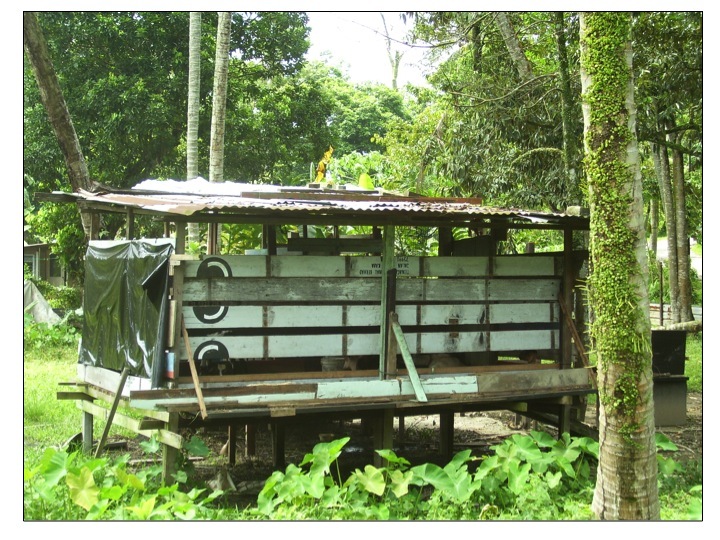 Thus the pit design is a great feature for small spaces and the day-in day-out materials of the tropics. Whether its food scraps from the kitchen or palm fronds that have fallen, all material can be cycled in the slow compost pile that is built from digging down and mounding around. The Banana or Papaya circle is the classic example of this and can be read in much greater detail on its own page. Click here to read more!!! soil food they produced a bumper crop and we enjoyed the harvest for months on end. 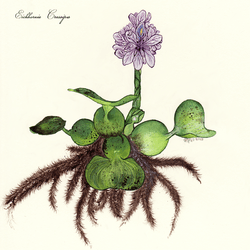 I took this lesson to the Dominican Republic with me in 2013 and tried the same technique since our pond was in relative location when our trees were flowering. A month later the tree had set so many fruits that it was obvious that the summer to come was going to be full of chocolate parties once more. 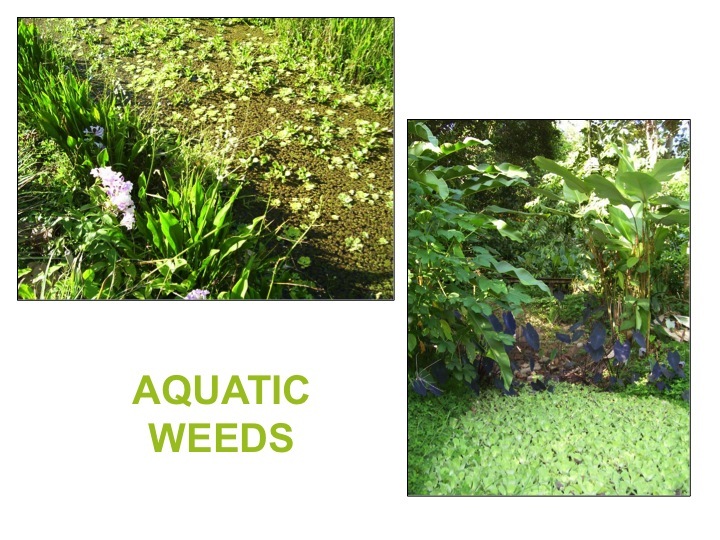 In the above picture you can see the productivity of tropical water weeds such as water lettuce, water money, and water hyacinth. A diversity is always best to go with and if you chop them up finer giving them edge it will break down even more rapidly. Bill Mollison recommends that if you can in the lowland humid tropics, put 20% of your landscape in aquatic systems to take advantage of the huge potential of aquaculture systems. 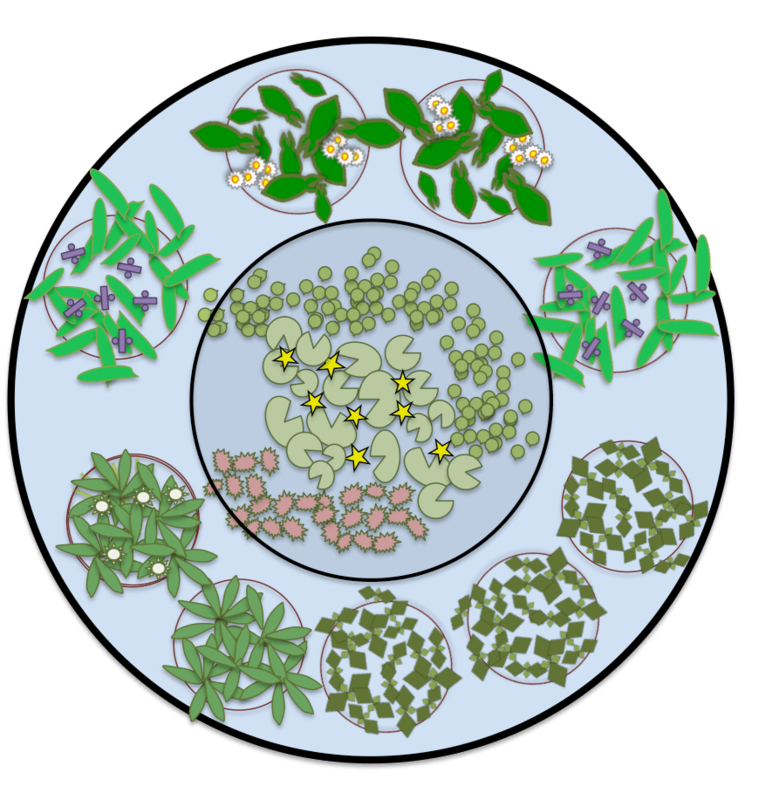 Growing weeds for biomass is a vital organic material source in these systems. 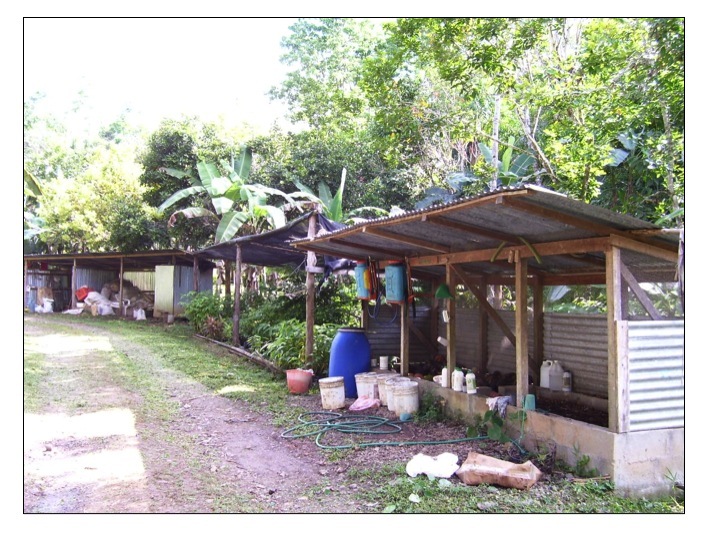 Using Crop Wastes and Manures to build soil in the Tropics: In the picture above I show the Ylang Ylang flower as it was one of our major crops at the farm that I worked on in 2005 in Costa Rica. We would coppice the trees to reach the fragrant flowers to press them for their pricey essential oils. In essential oils, the price often reflects the amount of material needed to create the end product. Thus we had heaps of leaf and stem biomass associated with this crop that we would simply chop finer and mulch the nearby trees. Other crop wastes such as corn stalks should always be recycled in compost or mulch but never burned. In India the locals would grow one or two acre monocultures of the Permaculture all-star plant known as Casuarina. It was producing harvestable round- wood timber in three years all the while fixing nitrogen and producing lots of biomass. Unfortunately this biomass was burned and the soils left open encouraging the desert to form more rapidly. Thus compost and sheet much with all crop wastes- anything from the shells of beans to the straw of sorghum. 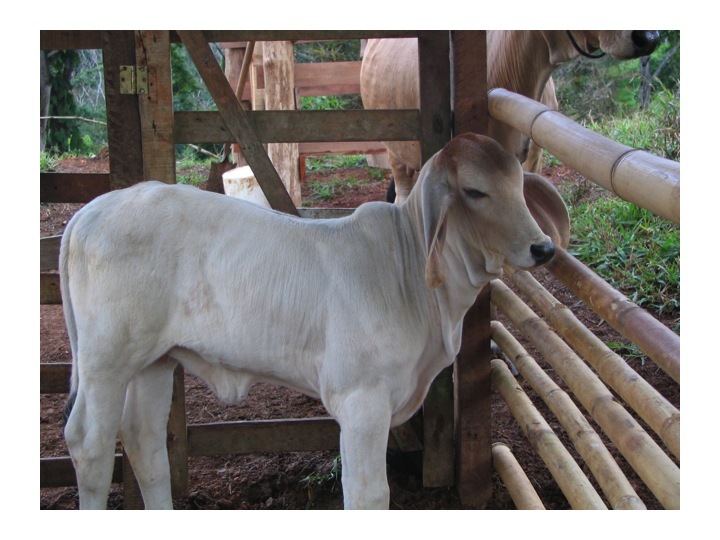 All animal manures can be used for fertilizing the farm and building soil. Ideally the patties will break down in the field but when animals are housed they must be handled appropriately. First inside the housing, the manures should be combined with a high carbon material such as wood shavings from the local mill or rice husks from the local processor. Then this mix can either be added to a hot compost, to a worm bin, or in bulk as the main ingredient for mulching and or sheet mulching. I find the latter to be better as the rapid breakdown in the field necessitates lots of material and when the manures are combined with cardboard or spent thatch material the mulch simply lasts longer. Cow manure in the field can be scooped up and fed to worm bins if their slow breakdown is causing troubles on the farm. That worm compost should then be put into solution and put back onto the farm in the form of compost extract so that the cow pats may breakdown more quickly in the future. Remember, dewormers slow the process and the vicious cycle begins because of the lack of dung beetles. Often times in the tropics it is important to keep the animals up off the ground as the humid conditions can invite parasites. Design your structures for harvest of manure and ease of flow. Manure is a very valuable resource from animal housing and is often very potent in terms of nitrogen because of the added urine. Be careful of that if you are adding it to compost piles as I have made the mistake of adding to much nitrogen from the forgotten fact of the urea. 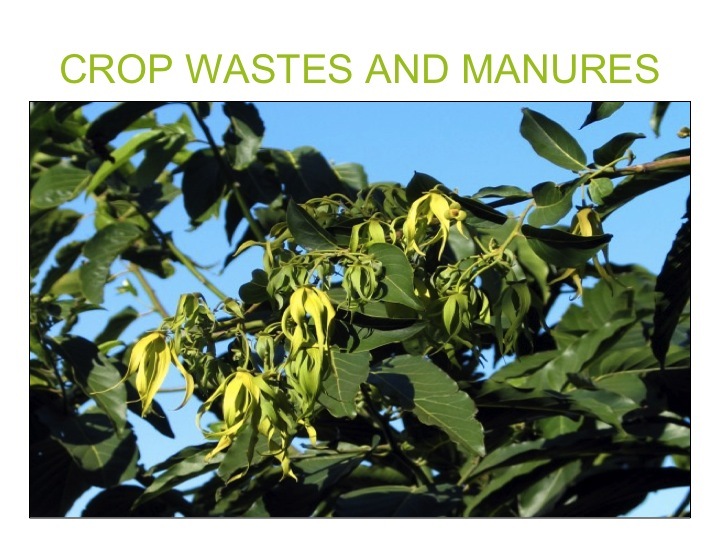 I have seen trees respond well from applications of manures so treat this resource with care. Worms and their byproducts, are very useful in the tropical latitudes as breakdown in the bins is accelerated as well. Many different bins can be used from old freezers to old bathtubs to wooden boxes to the above concrete one. It was a good system because of the intense rains and its scaled size. It was in relative location of our potting station which makes a great addition to the mix for fertility, drainage, and moisture holding capabilities. The twin system above had a steel grate separating the two sides so that feeding could be done alternatively so that the worm migration would limit their extraction when we were extracting their manures. Its use of concrete created a long-lasting bin but the embedded energy in concrete is always a limiting factor of its usage. It was however an invaluable resource to the farm which we used and managed intensively. Mollison, B. (1981) Permaculture: A Designers Manual. Sisters Creek, Tasmania, Australia. 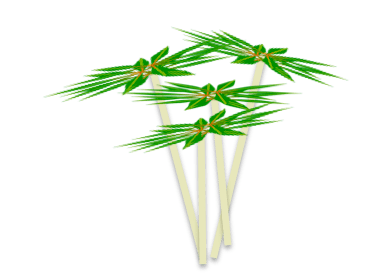 Tagari.